We have partnered with the ABB FIA Formula E Championship to explore and push the boundaries of engineering. We are Modis. Connect Smarter. Everyday we seek out opportunities to connect the people of tomorrow to the businesses of today. That's why we have chosen to partner with ABB FIA Formula E, it's a partnership we're excited about, allowing us to bring the most intelligent problem-solvers together in an exciting and forward-thinking landscape. Technology is advancing at an accelerated pace, disrupting everything it influences. The scope of its impact is only beginning to take shape and we aim to be at the forefront, seizing the opportunities presented by this constantly-shifting environment. Formula E is at the forefront of Electrical Vehicle (EV) innovation. E-mobility – the proliferation of electric vehicles (EVs) – is having a profound effect on the automotive sector and its adjacent industries. But what impact will it have on jobs and development? We researched the impact and discovered how it’s set change the face of mobility. Modis had reason to celebrate at the last Engineer of the Year Awards as we crowned the first Modis 'Engineer of the Year'. Our inaugural award celebrates the pivotal role engineers play in the success of motorsports. Behind the driver's individual merits, lies a team of talented engineers, data analysts, mechanics and team managers who keep the ABB FIA Formula E Championship teams firing on all cylinders. Through their hard work and endeavour, the drivers are able to put on the spectacle that motorsport fans deserve and with skilled engineers at the forefront of this, it only enhances the partnership Modis has with Formula E.
We wanted to celebrate the importance of engineering in motorsports so, together with the ABB FIA Formula E Championship, we created the Modis Engineer of the Year Award. This is an official Formula E award which has and will continue to recognise the importance of the behind-the-scenes technical excellence in the innovative world of e-racing. 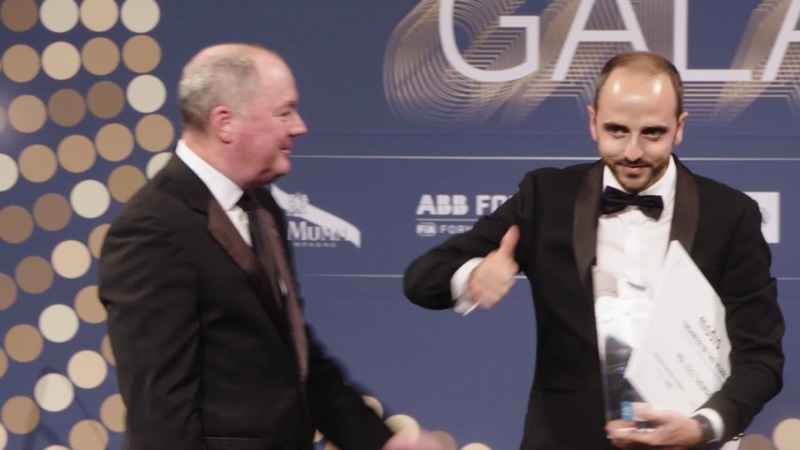 Congratulations went to Léo Thomas, Techeetah Racing Director who was the winner of our inaugural Modis Engineer of the Year Award. Seeing off competition from an extremely talented pool of nominees, Thomas took the victory given by ABB FIA Formula E and its official Innovation Parnter Modis.